The Island Girls rowed more than 3,000 miles across the Atlantic Ocean over 47 days, 8 hours and 25 minutes. Despite sleep deprivation, limited eating and relief options and almost capsizing -- the crew prevailed, becoming the pride of Antiqua. Olympic gold medalist rower Maximilian Reinelt of Germany, who was a longtime member of the country's successful men's eights crew, has died at age 30. Grace Luczak gives a quick tutorial on how to use an erg machine -- and shares one of the workouts she uses on bad-weather days. Sir Bradley Wiggins was left disappointed as the five-time Olympic cycling champion returned to competition as a novice rower on Saturday. British Rowing has welcomed the news that eight-time Olympic medalist and former Tour de France winner Bradley Wiggins will take part in the British Indoor Championships in December. Two-time Olympic champion Eric Murray has announced his retirement from rowing. As inseparable rowing partners, Helen Glover and Heather Stanning did nothing but win for five years. But when they become opponents in the upcoming London Marathon, something has to give. Saiyidah Aisyah overcame physical and financial hardships to become the first rower from Singapore to compete in the Olympics. The U.S. women's rowing eight won its third Olympic gold medal in a row. We asked former coxswain Mary Whipple to talk about what it took to build that remarkable streak. Australian rower Kim Brennan won the women's single sculls at Rio's Lagoa Stadium - but who is she? New Zealand's Mahe Drysdale and Croatia's Damir Martin finished the race in the same time but a photo analysis showed the bow of Drysdale's boat was in front by 3 centimeters, or an inch. The historic victory was celebrated, but not in the traditional manner. The coxswain wasn't tossed into the water for concern over the bacteria levels. The U.S. women's eight rallied to win the gold medal in Rio to continue their dominance. The Americans have won 11 consecutive world and Olympic titles since 2006. Australian rower Kim Brennan has snapped an eight-year Olympic gold medal drought with victory in the women's single sculls at Rio's Lagoa Stadium. The hot favourite quad men's sculls crew have been unable to break Australia's eight-year rowing Olympic gold medal drought, relegated to silver in Rio by some German rowing precision. 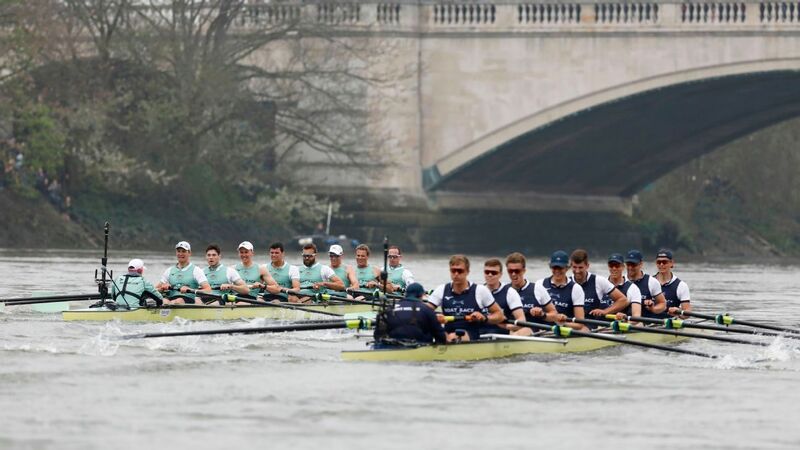 Australia has emerged as a genuine challenger to four-time Olympic rowing champions Great Britain in the men's four after advancing to the final with a resounding win in the semis. India's solitary rower Dattu Baban Bhokanal speaks of his journey to the Olympics and stresses on the importance of training in order to succeed. The hottest U.S. spot for rowing isn't in the Ivy League; it's on the other side of the country. The University of Washington has a rich history in the sport and can add to its legacy in Rio. Woodrow Wilson Classical High School has been represented at every Summer Games dating to 1952. The Long Beach school's secret to Olympic success? It's something in the water. Kim Brennan has created history even before her oar touches the water in the single sculls at the 2016 Olympic Games in Rio de Janeiro, Stephanie Brantz writes. Despite their late call up, and lack of boat or oars, the Australian women's eights team say their ready for their Rio challenge replacing banned Russia crew. The Australian women's rowing eight have received a sensational late call-up to the Rio Olympics after the Russian team was ejected.